UPDATE: Now, Multiplayer Online is available. 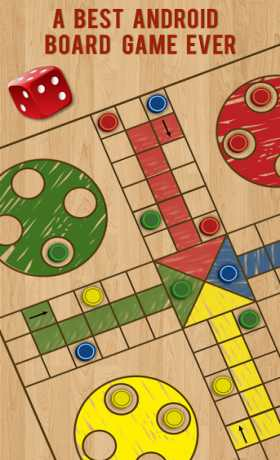 How often you wondered if we have a classic Ludo wood board in android, the board that we used to play when we were kids, when we really enjoyed the wood, the sketching of colors, the dice, the board smell, the coins etc etc. 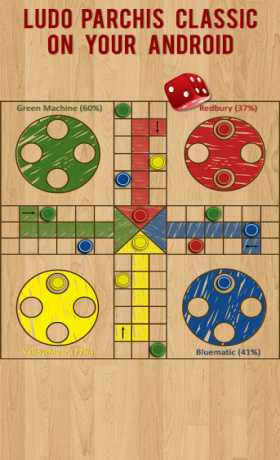 The board supports up to 4 players (2, 3 & 4 players in combination with Android), each player will take one color, his / her coins and dice will be of same color, so you will not have issues in recognizing who’s turn, who’s coin / pawn moving etc. You can enter your preferred names for each player and choose the colors. You can now emote (happy, sad) your coins to reflect your mood. 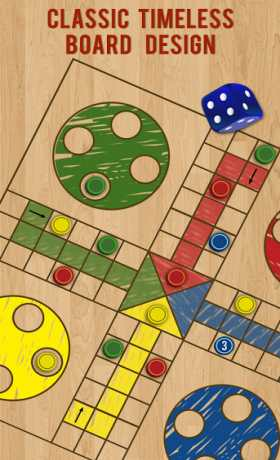 The AI behind the game is completely built by keeping-in mind that the outcome of dice is always random and unpredictable whether it is thrown by player or Android. Android has intelligence to devise strategy to cut opponent coins and choose it’s own coins to move. Other than this, it doesn’t have any control over the outcome / result of the dice. It is always RANDOM.